First Look Of Disney's Live-Action Lady And The Tramp Starring Tessa Thompson And Justin Theroux Is Adorable! The first look of Lady and the Tramp's live-action version is out! And it looks rather adorable. 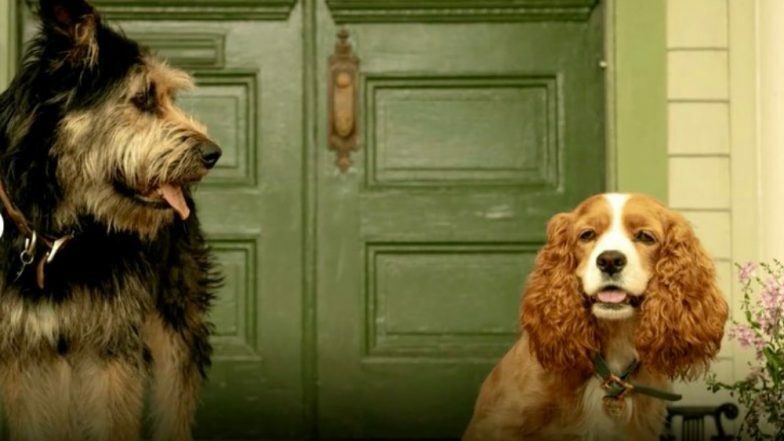 Produced by The Mouse House productions, the live-action movie will be a reimagination of Disney's 1955 animated feature with Lady, the cocker spaniel and Tramp, a mongrel. The live-action feature of Lady and the Tramp will star Tessa Thompson and Justin Theroux, lending their voices to the two dogs. The film is being helmed by Charlie Bean of The LEGO Ninjago Movie and the script is penned by Andrew Bujalski. So far a trailer hasn't been revealed but we couldn't be more excited! The first look itself is adorable with the two mutts and their romance. It can be expected that Lady and the Tramp will do well at the box office considering how The Mouse House's previous live-action remakes such as Alice in Wonderland, Maleficent and Beauty and the Beast's success at the box office. Apart from The Mouse House, the film is also being produced by Disney+ and in fact, will stream directly on the online streaming platform. The film will directly be streamed on the online streaming platform on the day of its launch, which is November 12, 2019. There is not much hard work here considering how the cast of trained dogs will be voiced by celebrated actors. The live-action will have actually adorable pups complementing the animated classic ones. Disney has quite a few releases in the next few months such as Guy Ritchie's live-action version of Aladdin, Jon Favreau's The Lion King and Angelina Jolie starrer Maleficent: Mistress of Evil. We've got a lot to expect from Disney this year. Of course, not to mention their list of superhero films such as Avengers: Endgame and more.